Noon: The SIGNUM Saxophone Quartet performs Bach and Beyond – Music by Bach, Reich, Maslanka and Zarvos at the Grand Salon of the Archaeology Museum, Valletta. The four musicians, Blaž Kemperle, Hayrapet Arakelyan, Alan Lužar and Guerino Bellarosa, met in Cologne where they founded the SIGNUM saxophone quartet in 2006. 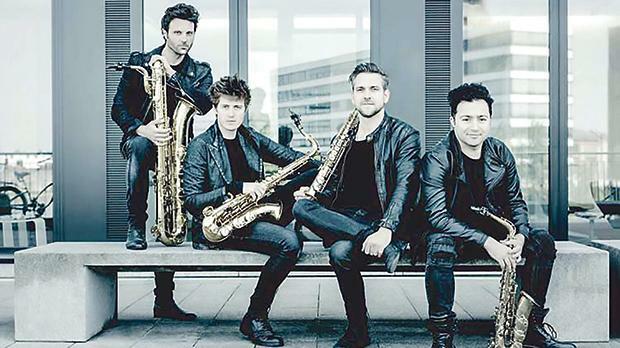 The saxophonists, who studied in Cologne, Vienna and Amsterdam, have been influenced and inspired by the Quatuor Ébène, Artemis Quartet and Gabor Takács-Nágy. 7.30pm: Armonia Atenea, Orchestra, directed by George Petrou, featuring soprano Myrisini, counter tenor Nian Wang and tenor Christos Kechris, will be performing Handel’s Il Trionfo del Tempo e del Disinganno HWV 46 at the Manoel Theatre, Valletta. The orchestra was founded in 1991 by the Friends of Music Society of Athens with the inauguration of the Megaron, the Athens Concert Hall. Since then it has been the resident orchestra of the Megaron. Noon: Paul Gulda on harpsichord will perform Bach: The Well-Tempered Clavier, Book 1. BWV 846-869 at the Grand Salon of the Archaeology Museum, Valletta. 7.30pm: Cantar Lontano and Marco Mencoboni play Claudio Monteverdi’s Missa in Illo Tempore SV205 at the Assumption parish church, Qrendi. 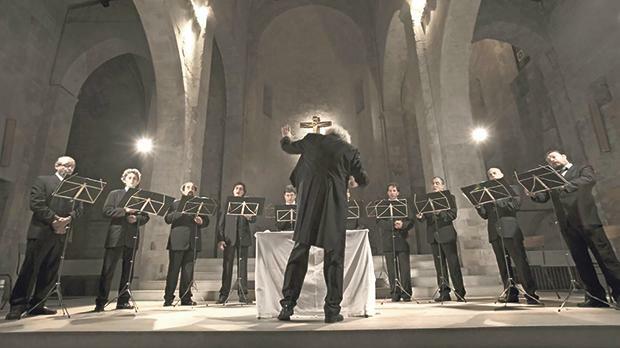 The Cantar Lontano vocal ensemble is composed of Italian singers trained in particular in the Cantar Lontano technique. Thanks to this group of musicians, led by Mencoboni, those attending will hear a completely unexplored repertoire of ancient compositions like Ignazio Donati, Bartolomeo Barbarino, Pietro Pace and Luigi Battiferri. From left: Paul Gulda, Marwan Abado and Meret Luthi. 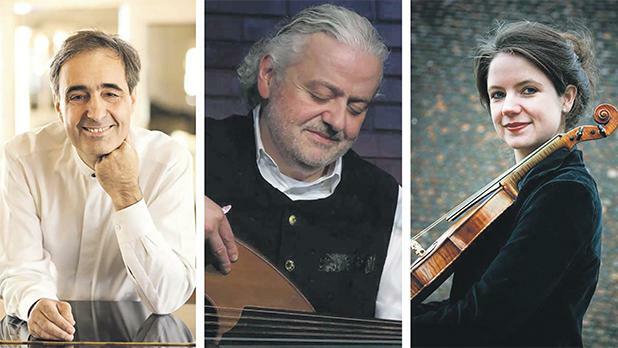 Noon: Paul Gulda on harpsichord and Marwan Abado on oud and vocals perform Path of Love – Mas’ar Hubb at the Grand Salon of the Archaeology Museum, Valletta. 7.30pm: Le Passions de l’Ame and Meret Luthi perform The Six Brandenburg Concertos at the Manoel Theatre, Valletta. Les Passions de l’Ame, Bern’s resident early music ensemble directed by violinist Meret Luthi, has been seeking to create fresh sounds since 2008. Lively interpretations on historical instruments are the trademark of this international orchestra. For more information visit http://vallettabaroquefestival.com.mt .